Adam Van Wickler's personal website devoted to toys. Occasionally I can be quite timely with my ramblings. For this entry we will be looking at Tron Legacy, the sequel to the 1982 Disney film, released in theaters on December 17th. 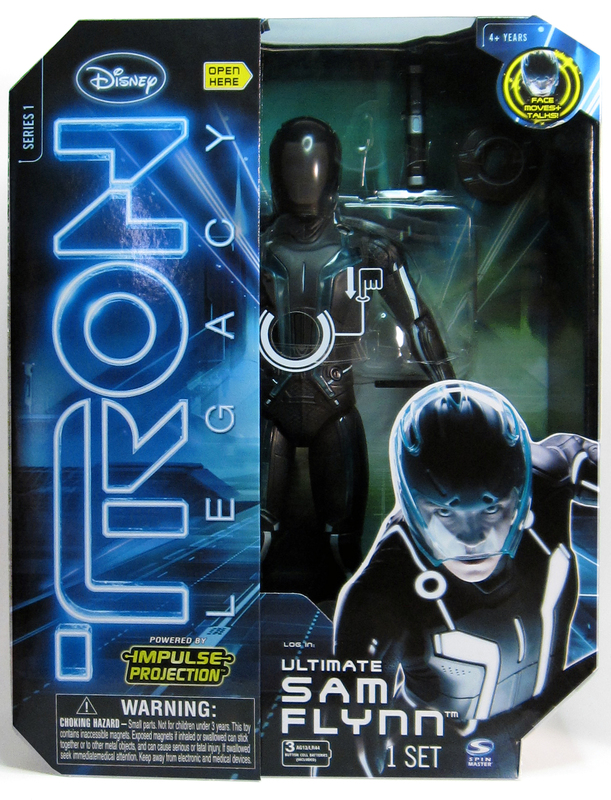 While Spin Master is the company behind the mass market toy line, we will also be looking at something pretty cool created exclusively for the film that I was involved with… but lets start with a look a Spin Master’s 12” Impulse Projection Sam Flynn action figure. Gentle Giant has worked with Spin Master on a few occasions and we were lucky enough to get a crack at creating some action figure prototypes for 2 of the film’s characters at 3 different scales. The 2 characters we worked on are the film’s protagonist, Sam Flynn, son of Jeff Bridges in the original film, and the antagonist, Clu, a program created by Jeff Bridges that looks exactly like him via 1982. 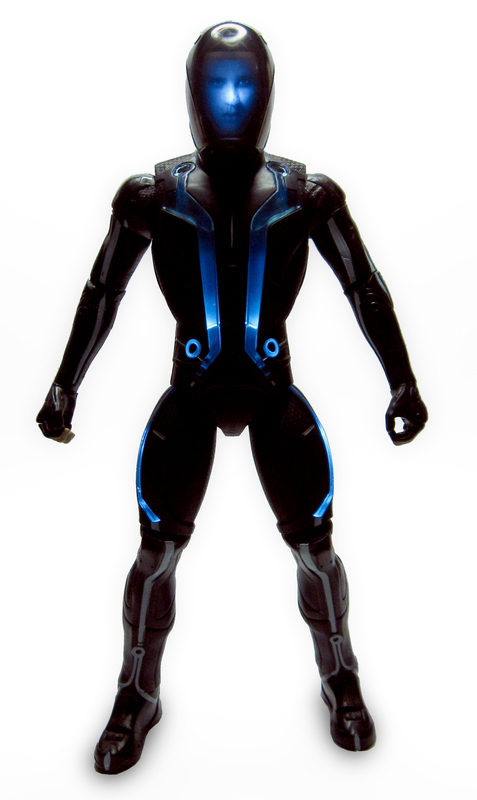 We created action figure prototypes for both characters at 3 ¾”, 7” and 12” tall. Our process was basically just like any other prototyping job we do but Spin Master really took what we created and ran with it. 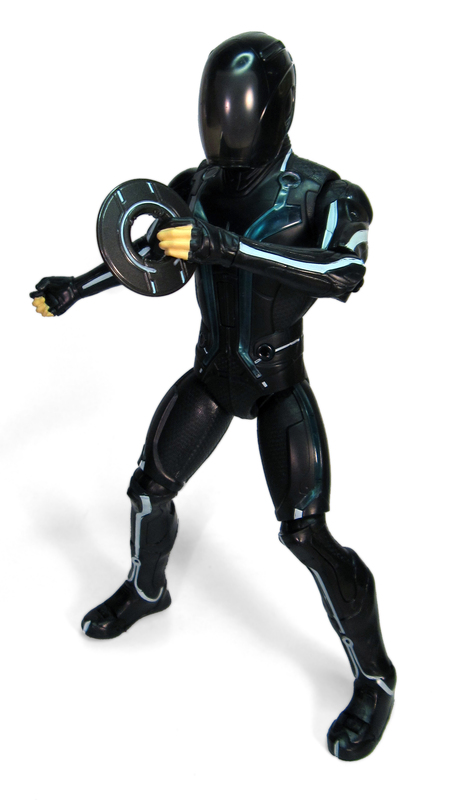 While we only worked on 2 of the characters from the film, they used what we had made for them as a guide and fleshed out a full line of action figures overseas, what’s more, they introduced some very cool technological innovations into the action figures that are already creating quite a buzz in the toy world. I mentioned ‘Impulse Projection’ earlier, in all likelihood you skimmed right by it, but if you were to happen across one of the larger action figures in a Wal-Mart, Target or Toys R’ Us, I implore you to pick one up and make use of the ‘Try Me’ feature. What this Impulse Projection feature does is seemingly create a 3D movie of the actor’s face inside the helmet that is matched up to phrases taken directly from the film. Through LED’s, small pieces of film and a voice chip, the results are nothing short of spectacular. I’m a huge fan of what Spin Master achieved with the final product despite some of the aesthetic changes they made to our prototypes in order to house all of the mechanisms needed to bring this technology into consumer’s hands for $40 a pop. Now let’s take a look at my uncredited feature film debut. 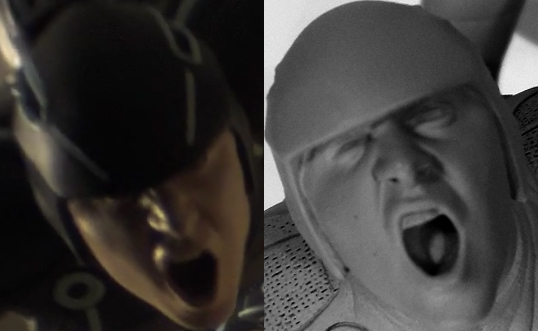 At San Diego Comic Con 2010, they debuted a 2 ½ minute trailer for Tron Legacy, 20 seconds into this trailer you get a pretty clear view of a toy with my screaming, upside down face looking directly into the camera. Gentle Giant was approached by the filmmakers to create a number of toy props that would be used on set. You can see 2 of the light bikes around the 17-second mark followed by 2 action figures battling it out on a shelf. 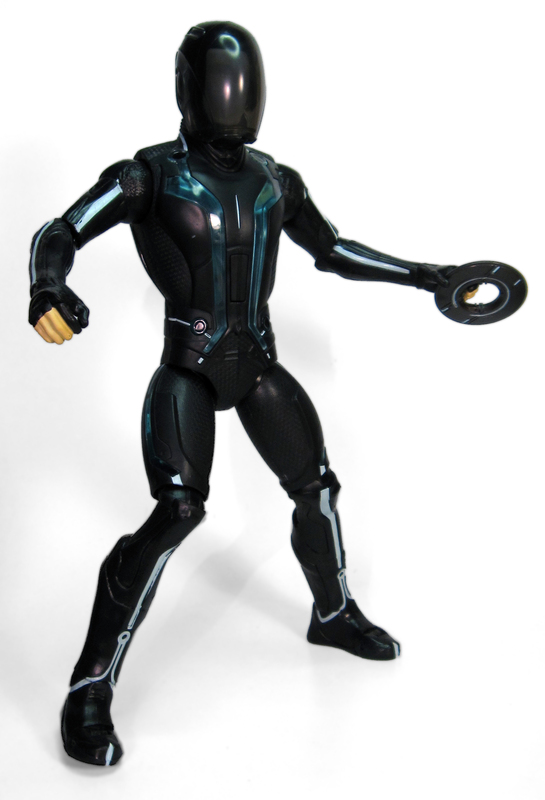 The action figure that is throwing the disc is an actual character from the film, while the other was to be a nameless adversary. Luckily enough I have somewhat of a nameless adversary look and jumped at the chance to make a brief appearance in a Disney feature film, albeit in the form of an action figure that’s being beaten up by another action figure. There will be a menu on the left side with 5 different drop down options, choose the 3rd one down simply named ‘trailer’ that was posted on 7/26/10 or just go see the film itself as I am told that this scene was not only shot for the trailer but will be in the first few minutes of the movie as well… my time in the spotlight is short so don’t blink! This entry was posted in playing with myself on December 15, 2010 by Adam Van Wickler.